As we grow older certain things happen to our bodies. We become less flexible, we experience back and joint pain and we may start suffering from bad posture, but these things aren’t guaranteed. If you’re determined to stay flexible, reduce pain and remain upright into later life then there are things you can do to make that happen. Something as simple as stretching every morning before work can do wonders for your posture and ensure you remain subtle and flexible into old age, so what are you waiting for? Read on for five reasons why you should start stretching every day starting from right now! In today’s sedentary world, it’s easier than ever before to develop bad posture. If you spend most of your days sitting behind a desk and/or slumped in front of a computer then your back muscles are going to tighten and your body is going to start remembering this position, making it harder to maintain good posture in your free time. Bad posture makes you appear less confident, it can lead to back pain, it may make certain tasks more difficult and in the long term it can alter your stance and slump your shoulders. Good posture, in contrast, has loads of unexpected health and well-being benefits. Good posture can make you appear more powerful and confident and even helps alleviate anxiety as a result. It makes you appear thinner and taller, it can help you burn around 350 calories a day just by standing up straight, it helps keep your airways open and allows more oxygen to flow through your body to ensure proper breathing. Plus it can help you tone up your abs and strengthen your core, it can alleviate stress and it can even make you more productive! You can have all of this and more if you incorporate some simple stretches into your morning routine. Of course in order to see lasting results you will have to stick to your stretches and you can’t expect everything to improve straight away, but if you keep at it you’ll reap tons of benefits in the long run. 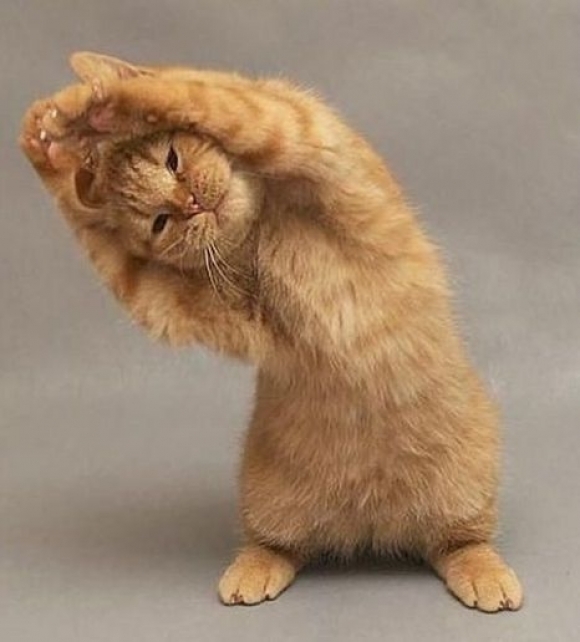 Doctors say that morning stretches can help get rid of those pesky aches and pains in your joints and muscles. These pains are often attributed to inactivity, bad posture and morning stiffness so it’s a good idea to spend a bit of time every morning warming yourself up for the day and ironing out strains or aches before you start your day. If you suffer from back pain, stretching in the mornings can be particularly effective. Not only will the stretching reduce the discomfort which is already there but it will prevent future pain by reducing tension in your back muscles and spine. When you wake up in the morning you may feel too tired to stretch, but if you power through you may well find that your morning stretch gives you enough energy to make it through the rest of the day. Stretching increases blood flow and moves oxygen to your muscles and brain, which results in more energy and improved concentration, and it will also help you relax and get mentally prepared for the day. Stretching can also increase vitality and remove more waste from your muscle tissues. A simple stretch when you wake up can help you support and maintain energy levels throughout the rest of your day so you feel more rested, more alert and ready to take on whatever life throws at you. When you spend the majority of your time sitting down it tightens your muscles and decreases your flexibility. This is obviously a problem if you enjoy gymnastics and want to be able to do high kicks and/or do the splits into your eighties, but even if flexibility isn’t on the top of your list of concerns it is still very important for your health and well-being. Low levels of flexibility and tight muscles can make you far more susceptible to injury later in life and may therefore limit your mobility and freedom, and improved flexibility provides a number of benefits including preventing back pain, balance problems and improving fitness levels and co-ordination. A simple stretch in the morning relaxes your muscles and slowly improves your flexibility over time so without even realizing it you will be able to avoid many of the problems associated with every day wear and tear. You may think that an extra ten minutes in bed would do much more for your mood than all the stretching in the world could ever hope to achieve, but in reality stretching can do wonders for your mood levels and happiness. Stretching is physical activity and like many other forms of exercise it accelerates the release of endorphins. Endorphins are sometimes referred to as natures ‘high’ and for good reason; they improve your mood and make you happier, they relax you and make you calmer and they help take your mind off all your worries so you are better able to start your day on a positive note. Start with this simple relaxation exercise: Slowly roll down your spine head first until you are bent over your legs as if you were trying to touch your toes. Once you are down swing your arms and gently shake your back, and then slowly roll up vertebrae by vertebrae until you are in an upright position again; your head should be the first thing to go down and the last thing to go up. This simple exercise will gently exercise your spine, help straighten you out and improve relaxation at the same time.